VANDENBERG AIR FORCE BASE, Ca. — Following an upper-level wind related weather delay, United Launch Alliance (ULA ) and NASA cheered as the Soil Moisture Active Passion (SMAP) mission soared into the sky at 9:22 a.m. EST (1422 GMT) on Jan. 31. The original launch attempt on Jan. 29 was forced to scrub due to upper level winds violations. 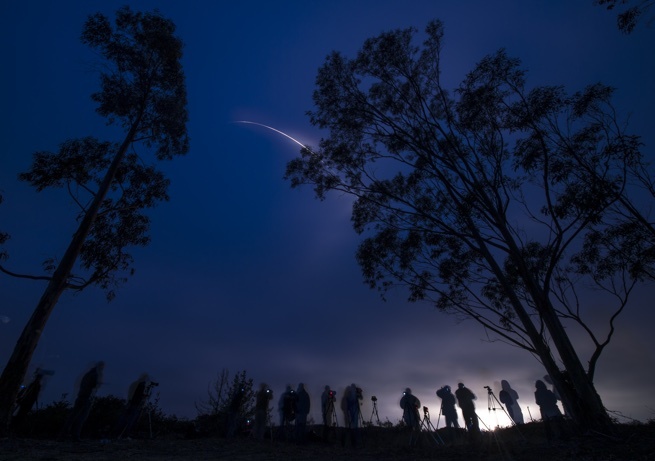 Launching from Space Launch Complex 2 at Vandenberg Air Force Base in California, this marked the second flight of 2015 for ULA and the second in just over a week. During inspections following the Jan. 29 launch attempt, minor debonds to the booster insulation were identified. These insulation debonds are associated with cryogenic conditions experienced during tanking operations and a standard repair will be implemented. Despite the delay due to high upper level winds, the launch of SMAP went off without a hitch and very little engineering commentary could be heard during the live broadcast. SMAP is NASA’s first U.S. Earth-observing satellite designed to map global soil moisture, with plans to have the craft use its instruments to dig into the topmost layer of our planet’s soil in order to accurately measure the hidden water within and determine how that soil water affects our weather and climate. The mission should produce the most accurate, highest-resolution global maps ever obtained from space of soil moisture while enhancing scientists’ understanding of the processes that link Earth’s water, energy and carbon cycles. 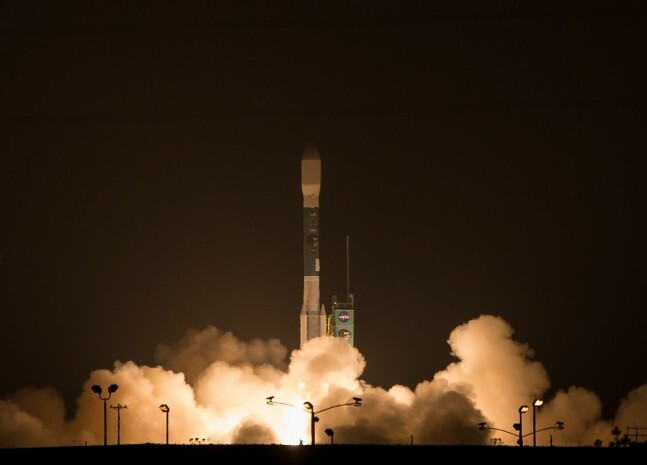 “SMAP will be the first mission to measure the soil moisture in the top two inches of the Earth’s surface,” said Chuong Nguyen, the SMAP mission manager for the Launch Services Program (LSP ) at the space agency’s Kennedy Space Center in Florida. SMAP also will advance our ability to monitor droughts, predict floods and mitigate the related impacts of these extreme events. It will monitor regional deficits in soil moisture while providing critical inputs into drought monitoring and early warning systems. The mission’s high-resolution observations of soil moisture will improve flood warnings by providing information on ground saturation conditions before rainstorms. The SMAP spacecraft contains two advanced instruments, working together to produce global soil moisture maps. It employs active radar very similar to the flash on a camera; however, it transmits microwave pulses instead of visible light. These pulses pass through clouds and moderate vegetation cover to the ground and measures how much of that signal is reflected back. SMAP’s radiometer has the capability to record measurements over relatively large areas, with a 25-mile resolution. In order for that measurement to be accurate for agriculture practices, scientists need to integrate data from SMAP’s radar instrument, which was developed and built at NASA’s Jet Propulsion Laboratory in Pasadena, California. Together, the two instruments will provide greater accuracy and spatial resolution than either could on its own. The duo will also share a large, lightweight reflector antenna that will be unfurled in orbit like a blooming flower and then spin at about 14 revolutions per minute. The antenna will allow the instruments to collect data across a 621-mile (1,000-kilometer) area, enabling global coverage every two to three days. Once in orbit, the SMAP satellite will deploy its very extensive boom assembly that has an almost 20-foot-diameter antenna at the end of it. During processing, the antenna assembly and boom were folded up and neatly loaded inside the payload fairing of the rocket. 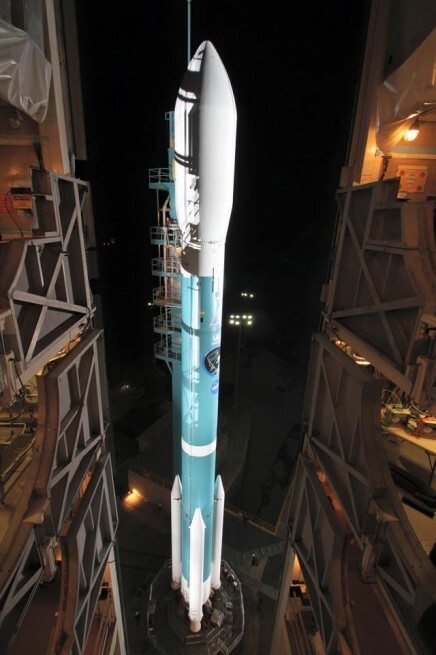 Tim Dunn, the NASA LSP launch director, said the Delta II rocket is perfectly sized for the mass requirement for SMAP. The physical size of SMAP fits within the payload fairing volume of the rocket. 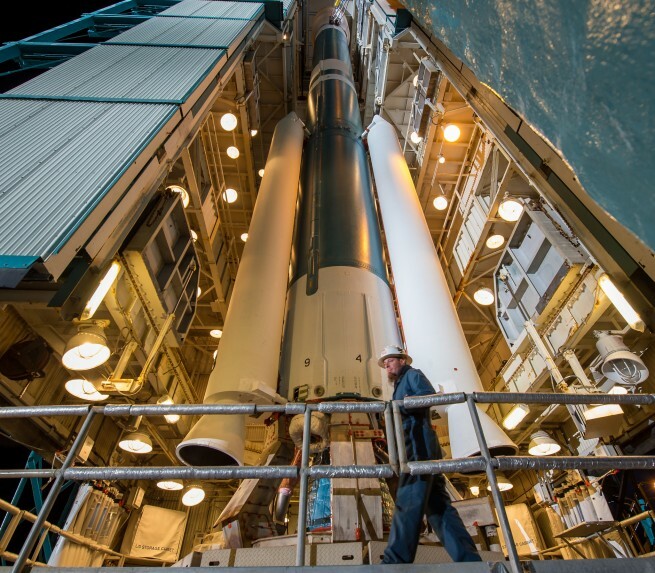 With the launch of SMAP, this flight will mark the 52nd Delta II mission for NASA. 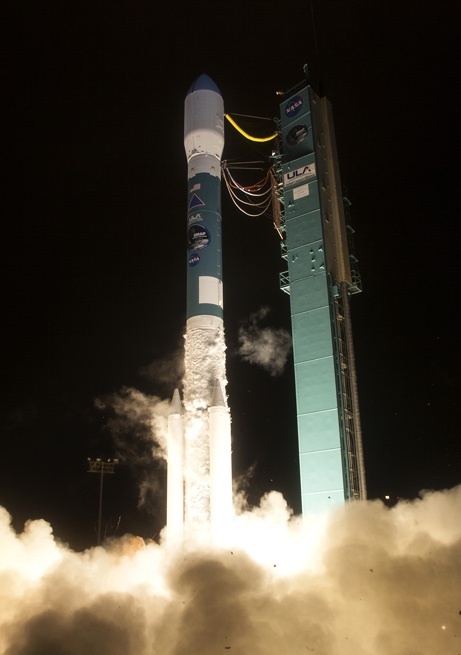 To date, there have been 152 launches of the Delta II since 1989, with 51 of those for NASA. 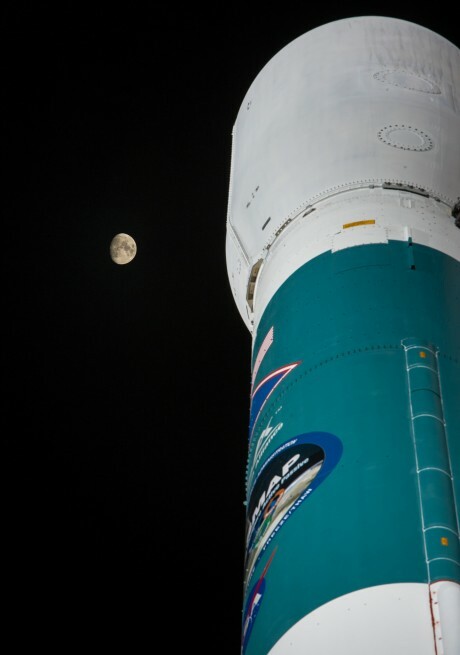 The Delta II’s significance in NASA launch history can been seen with all of the science and exploration missions that it has carried aloft. This flight will mark the second of 13 planned ULA missions for 2015, and the second launch in just over a week for ULA. In addition to the SMAP spacecraft, a secondary payload of three cubesats was launched just after payload separation. The miniature satellites are part of NASA’s Educational Launch of NAnosatellites (ELaNa ) program. Tucked away in the Delta’s upper stage, the trio of ministatellies, ExoCube, FIREBIRD-II and GRIFEX were deployed from three Poly Picosatellite Orbital Deployers (PPODs). ExoCube is part of a partnership between NASA, University of Wisconsin, and CalTech. The satellite will monitor the density of multiple atoms and ions in the Earth’s upper atmosphere — specifically oxygen, hydrogen, helium, as well as nitrogen molecules and nitrosomium ions. In an effort to aide current space weather research, ExoCube will employ an instrument suite dubbed EXOS. The panel includes a Neutral State Energy Angle Analyzer (NSEAA), an Ion Static Energy Analyzer (ISEAA), and a Total Ion Monitor (TIM). The second minisatellite is the Focused Investigations of Relativistic Electron Burst, Intensity, Range and Dynamics (FIREBIRD) II is actually a pair of cube sats, identified as FIREBIRD-IIA and FIREBIRD-IIB. The third satellite in the trio is the Geostationary coastal and air pollution events Read-out Integrated circuit in-Flight performance EXperiment (GRIFEX). This collaboration between NASA’s Jet Propulsion Laboratory (JPL) and the University of Michigan is desgined to take measurements of atmospheric pollution on a regular basis. For this mission, the Delta II flew in the 7320-10C configuration and consisted of an extra-extended long tank Thor first stage with a Delta-K second stage. Attached to the first stage was three GEM-40 solid rocket motors (SRMs), providing extra thrust during the first minute of flight before being jettisoned. The extra-extended long tank Thor first stage is the final version of the Thor missile, originally developed during the 1950s and flying on its maiden voyage in 1957 from Cape Canaveral in Florida. The first stage is powered by a RS-27A engine and burns RP-1 rocket propellant. The first stage relies on two LR101 engines to help control the rocket’s roll during ascent. The Delta-K second stage is powered by arestartable Aerojet Rocketdyne AJ-10-118K engine. This engine utilizes hydrazine propellant, Aerozine-50, which is actually a mixture of hydrazine and unsymmetrical dimethylhydrazine. SMAP, along with the cubesats that rode fire along with the primary payload, are tucked away within a 10-foot (3 meter) payload fairing until they are jettisoned. 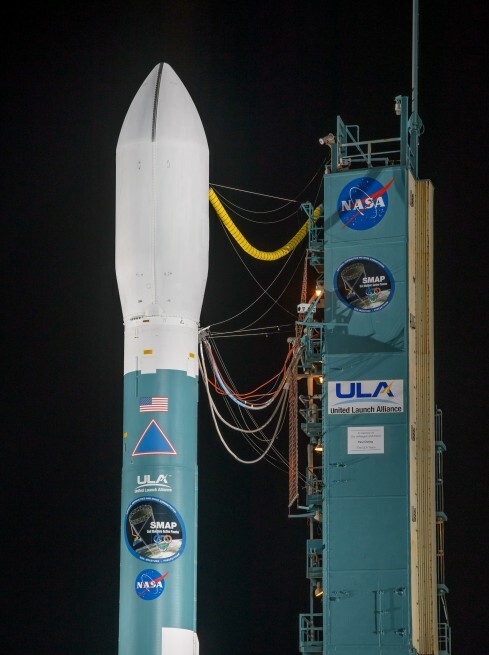 Liftoff was originally scheduled for 9:20 a.m. EST (1420 GMT), but was pushed back to 9:22 a.m. EST to allow for extra time to collect data on the high upper level winds that are so prevalent in the region. Following a picture-perfect launch, the Delta reached the speed of sound, or Mach 1, at 35 seconds into the flight. Max Q, or the area of maximum dynamic pressure was reached at 49 seconds into the flight. 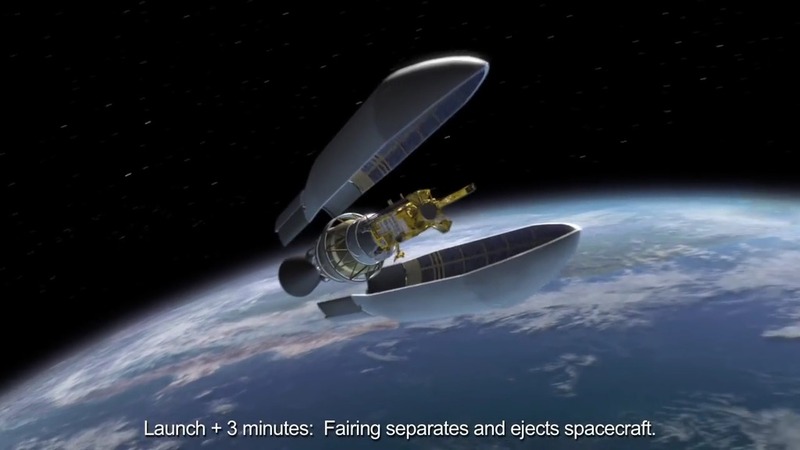 For one minute and 4 seconds, the GEM-40 SRMs burned until their fuel ran out and they were jettisoned 34 seconds later. Main Engine Cut-off (MECO) occurred four minutes and 21 seconds into the flight, with the first stage separation and second stage ignition approximately 8 seconds later. The total mission time from launch to separation was just under one hour, at a time of 56 minutes.